Being a small yet luscious island amidst the vast Indian Ocean, Sri Lanka is specially blessed with the magical coast line with golden beaches. 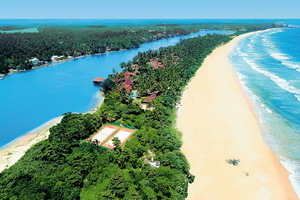 Among the precious beaches in Sri Lanka the beaches in the southern coast are famous for certain special attractions. Sri Lanka south coast tour is the ideal choice to relax and unwind in the refreshing sea breeze and enchanting sandy beaches. Moreover, get the wonderful experience of seeing the fascinating giants in the deep blue waters during a Whale watching trip during your tour and also have a look at Sri Lanka wild life by visiting the most visited wild life sanctuary in Sri Lanka. Leave the airport and head off towards the down south. Distances in between locations in Sri Lanka are not that long far but the time taken by road to reach a destination an experience. 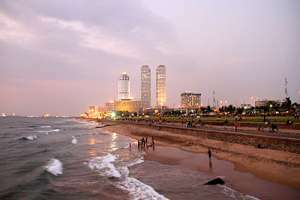 The 146km drive from the Colombo airport takes you through the city centre of Colombo, the coastal city of Mount Lavinia and the resort towns of Wadduwa, Kalutara, Beruwela, Bentota, Kosgoda, Ambalangoda, Hikkadduwa and finally Galle. The sights and sounds on this drive down with the sea on one side almost all the way and the domestic and commercial everyday life on the other makes the journey to Galle enriching and vibrant. The bullock carts and the buses, the lorries and the tuk tuks (trishaws), the smiles of the school children in their shining whites all a merry sight and a sort of a warm welcome to the easy going ways of the Sri Lankan people. When you eventually arrive in Galle you will check into your hotel. ​At leisure or go for Dolphin & Whale Watching boat ride in the sea off Mirrissa (Dondara) located just 40 minutes drive from your hotel. 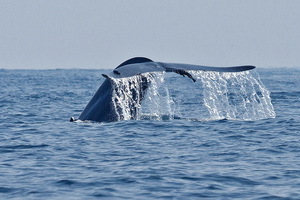 The best time to spot Blue whales off the coast of Sri Lanka is between December and April. The largest living animal on earth, Blue whales can grow up to 100 feet (30 metres) long and weigh almost 200 tons. They are among the Earth’s longest-lived animals with an average lifespan of around 80 to 90 years. When breathing, Blue whales emit a spectacular single-column spout up to 12 metres into the air. They also typically raise their shoulders and blowholes much higher out of the water than other big whales when surfacing to breathe. These two characteristics make Blue whale watching an incredible experience. ​The most enjoyable way to experience the Galle Fort is by walking. A leisurely walk leads past the old Dutch Church, the Governor’s house, the spice warehouses, Court Square, the Kacheri (town hall), the lighthouse and on to the sea wall and ramparts. 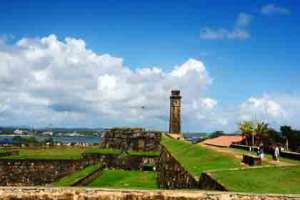 Visit the mosque and meander down streets leading to cricket fields, the temple, and the old District Judge’s house surrounded by ancient frangipani trees.Historically, the fortified town of Galle has been a significant trading port. 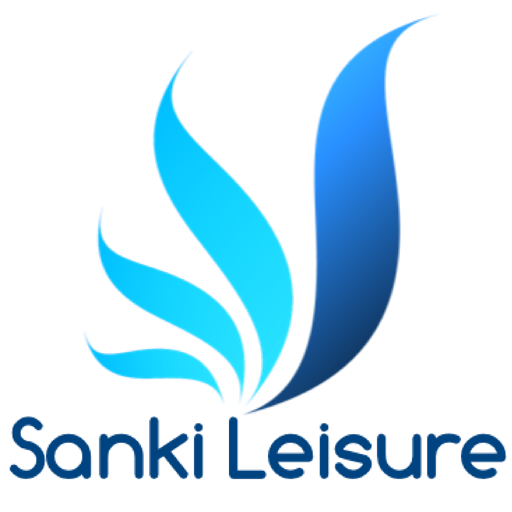 More than 1,000 years ago it was the essential port of call for Chinese, Persian, Arab and Indian traders. Later the Javanese and Sumatrans came, followed by Marco Polo in 1299 AD. It was with the arrival of the Portuguese in 1505 AD that a small foreign trading post was established. When the Kingdom of Kandy forced the Portuguese out of their Colombo fort in 1589 AD, a Portuguese settlement commenced in earnest with a fort of palm trees and mud. After breakfast leave for Tangalle located between the towns of Matara and Hambantota, a fishing town with one long unspoiled beach that is popular as a breeding ground for giant sea turtles. 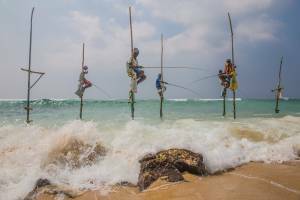 Many people claim that the beaches around Tangalle have the softest sand and the safest sea along the entire south coast. Tangalle seems set to become the most exclusive of the beaches along the south coast, and offers a chance to scuba dive around the coral reef protecting its four kilometers of sandy beach, and to explore a couple of wrecks. When you eventually arrive in Tangalle you will check into your hotel for two nights stay. 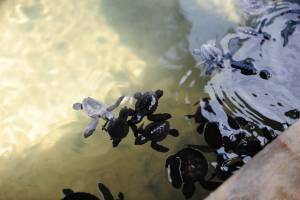 You could also visit the Rekawa Turtle Conservation project is located 10 kilometers east of Tangalle and is home to one of the most important sea turtle nesting sites in Sri Lanka. 5 different species of sea turtles lay their eggs in the sand every night throughout the year. Amanwella recommends visiting the project on the night of a full moon. One can truly see the influx of turtles in the glowing moonlight. Late afternoon you will be leaving Tangalle and reach the entrance of the Yala National park. 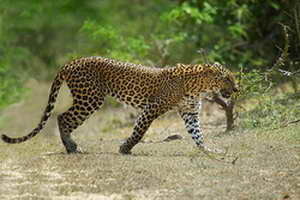 Located two hours north-east of Tangalle, Yala National Park is Sri Lanka’s most visited wildlife reserve. Guests travel through the park accompanied by a park tracker. The park’s wildlife has its own distinctive charm, with huddles of colorful painted storks, crocodiles, fan-tailed peacocks, and chattering monkeys in the treetop. The park’s most famous residents, however, are its elusive leopards. Early in the morning enjoy the breaking of the day from the hotel. 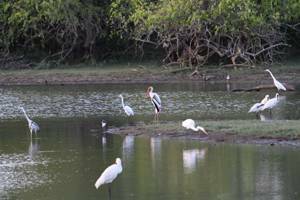 After breakfast go around and see the Hambantota town or head towards nearby Bundala game sanctuary for a photo safari. on completion drive back to Colombo. Check in at hotel for an overnight stay. After your breakfast, you will be cruising on a sightseeing tour of Colombo. You will drive through the commercial and city center area“Fort”, built by the Portuguese in the 16th century. A highlight would be a visit to the bustling and colorful markets and bazaars of Pettah, the National Museum with its fine collection of lovely antiques. You will be driving past Town Hall and the Independence Square. Following the city tour of Colombo, you will be driven back to Colombo airport for your onward flight with happy Sri Lankan memories.